Socrates Sculpture Park was an abandoned riverside landfill and illegal dumpsite until 1986 when a coalition of artists and community members, under the leadership of artist Mark di Suvero, transformed it into an open studio and exhibition space for artists and a neighborhood park for local residents. 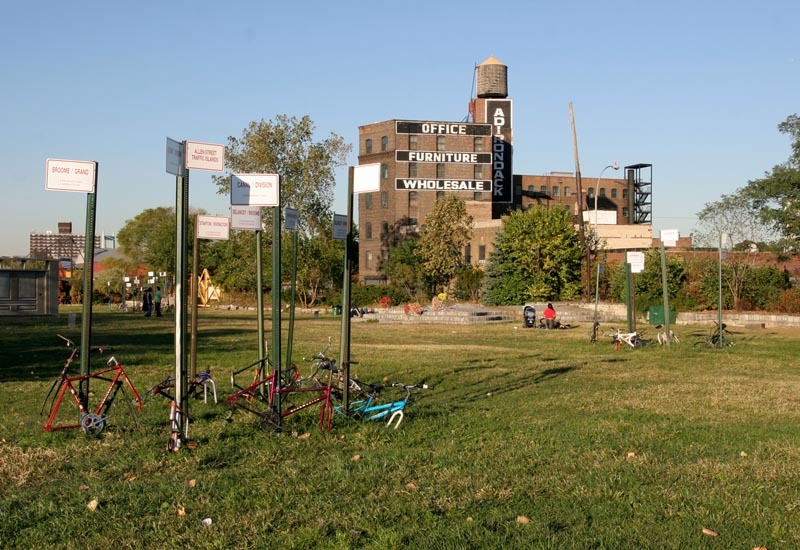 Today it is an internationally renowned outdoor museum and artist residency program that also serves as a vital New York City park offering a wide variety of public services. 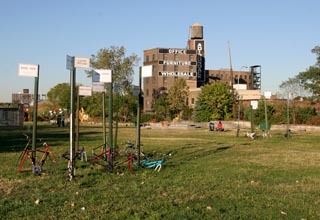 Abandoned bicycles, steel posts, aluminum signs, vinyl letters.